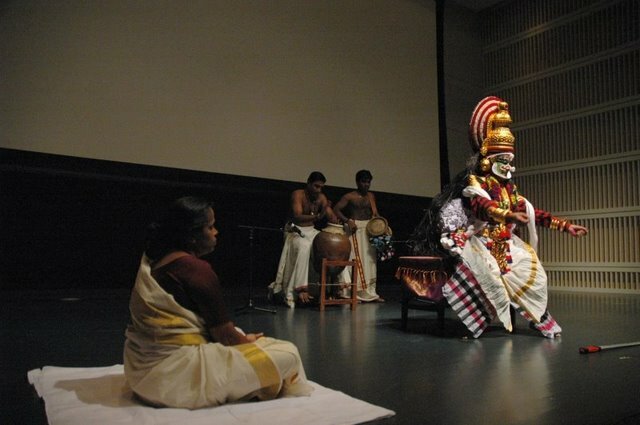 The Koodiyattom performance at Peabody Essex Museum, Salem, sponsored by NEMA and PEM was a huge success and the performance of Kalamandalam Sivan Namboodiri and accompanying artists captivated the audience. 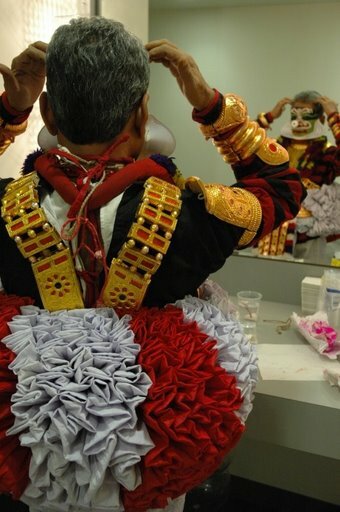 If you think the 2000 year old Koodiyattom performance is complicated, take a look at what happened behind the scenes – the process of getting ready for the Koodiayattom performance was an art by itself. 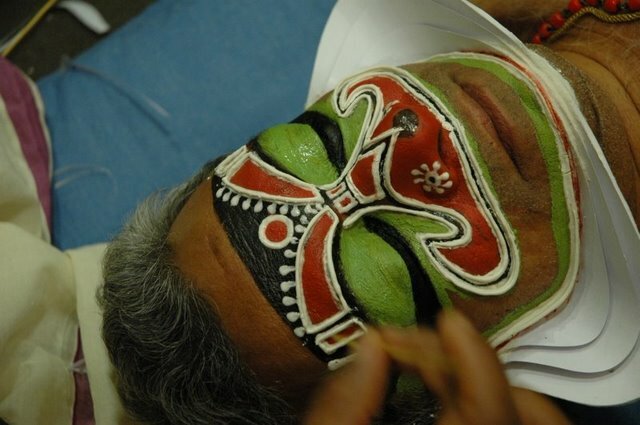 The makeup including Chutti took more than 4 hours. Here’s a pictorial presenting the makeup process. 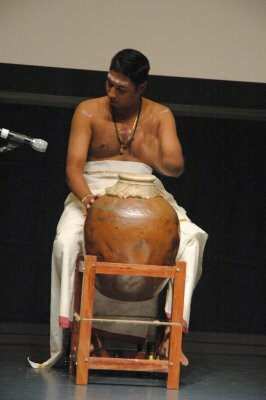 Chutti was done by Kalamandalam Sukumaran who also played “idakka”. 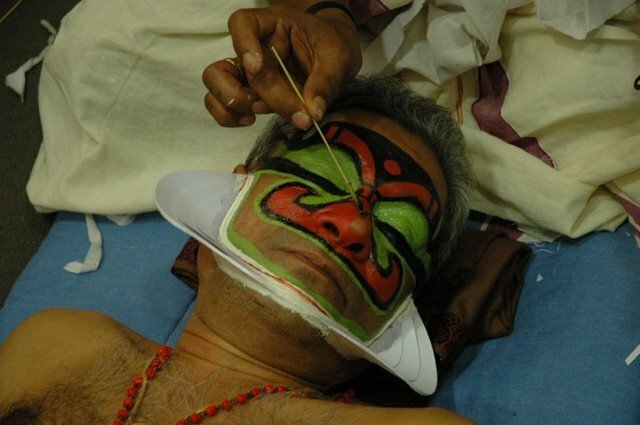 KR Narayana Chakyar was the team lead and translator. 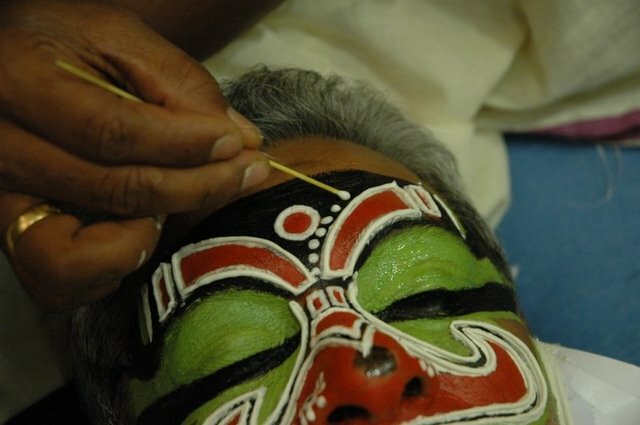 Kalamandalam Ammannoor Ravikumar Chakyar helped with the makeup. He also was the “mizhavu” player. 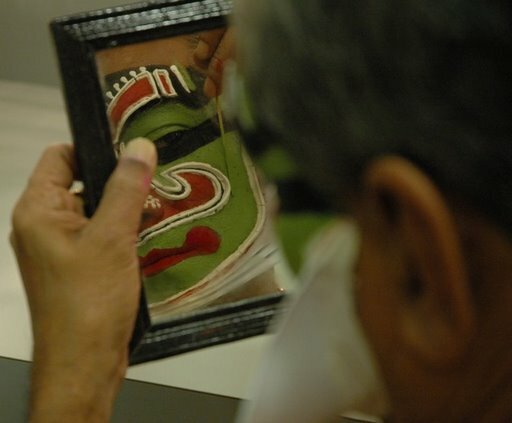 Help was also provided by Kalamandalam Sivan Namboodiri’s wife Indira, who is a Sanskrit teacher . It is talent, experience, dedication, hard work, thorough knowledge of the science of “Natyakrama” and the brilliant design which enthralls the audience bringing the great experience. 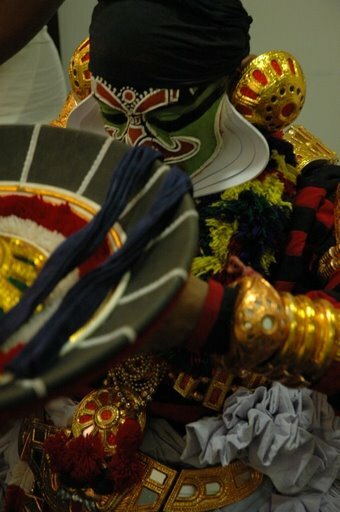 Please click here to browse through the full gallery of Koodiyattom performance pictures. Photo and description courtesy Anand Puravangara. Please subscribe to this blog by clicking here. I don’t know if this website is still working, even so I want to congratulate and also to appreciate your work. 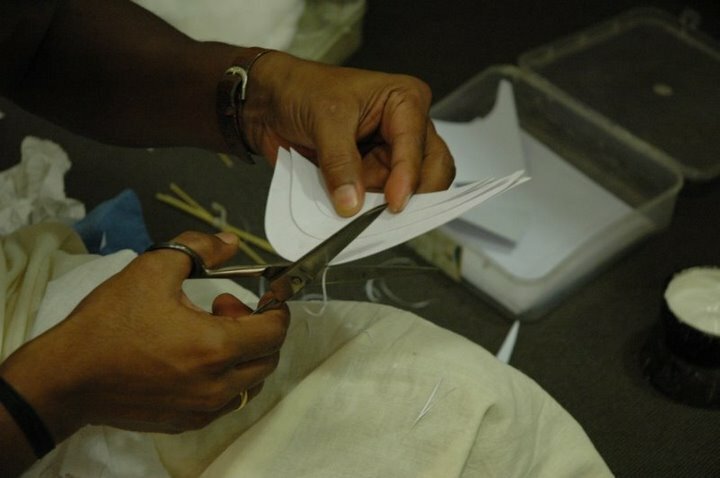 I’m from Barcelona and I’m doing a university work of Kutiyattam and these pictures have been so useful for me to understand all the hard work that is behind the scene. That’s an amazing art form.